What differentiates a great manager from an average one? That question comes up on our programs very often, and we have great discussions with managers who have tons of experience, as well as those just starting on their management career. 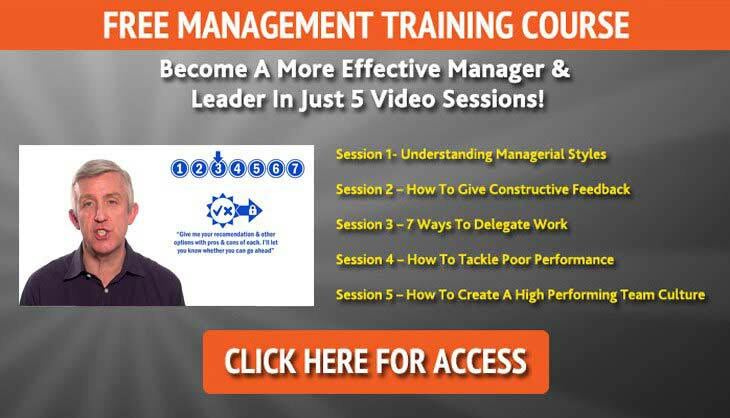 The key to excellence in management often relates to the results you achieve. And I’m not just talking about hitting your targets, financial or otherwise. I’m referring to how you get your people to achieve their results. In the film ‘Field of Dreams’, Kevin Costner’s character heard a whispering voice tell him that ‘If you build it, he will come’. Not knowing the meaning of such an encounter, he sets about trying to discover his purpose. Having built what he feels is the right thing, the dream eventually comes true. The field he builds brings back his father, and the moving ending proves that he was right to follow the path he set out for himself. Now, before I start blubbering again(! ), it reminds me of what we always say on our programs about great managers: they create or build the environment for all their team members to be challenged, to develop, to grow and to be self-motivated. If you want people to be applying to work in your department, to maintain loyalty from your current team members, to have a well-motivated, driving workforce, you need to build an atmosphere that attracts that kind of person. So many people we talk to (who work for the managers we coach) tell us that the main cause of demotivation in the workplace is the management style adopted by their immediate manager. They are either too micro-managing, not supportive enough, don’t delegate properly, have little idea on how to motivate, or don’t trust their team members to get the job done. This obviously creates a workforce that is not challenged, trusted or developed enough. No wonder people give up trying to grow their skills or bring creativity to work with them! If you build it, that is, the atmosphere, environment, conditions for people to thrive, grow and develop, then they will come, they will bring their initiative and creativity, and with it, the results you are looking for. Build the environment for them to thrive; you will create the motivation and the drive for people to contribute. And you may create a motivational goal for your team as strong as Kevin Costner’s!